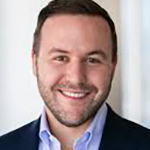 Michael Gonda has joined McDonald’s as VP-global communications after a nearly five-year stint at Chobani. He joined McDonald’s “to partner with leaders across the corporate relations function and the organization at large to build on the momentum of one of the most iconic and important brands in the world,” according to Gonda’s Linked-In post. Robert Gibbs, who was President Obama’s press secretary, is chief communications officer at McDonald's. Gonda joined Chobani in 2014 as VP-communications and left in January as senior VP-corporate affairs in charge of internal/external/executive communications, government relations, nutrition PR and sustainability. Earlier, he worked in corporate communications at Weber Shandwick in New York and Beijing, and began his career as a freelance journalist contributing articles to the New York Observer, Rolling Stone, Deseret News and Providence Journal.